While watching this movie, given that the entire X-Man storyline has taken inspiration from the Holocaust and the Civil Rights Movement, I thought about some of the Civil Rights/Black Nationalist icons. What did/do they think of reactionary events that occurred after the 60s? I think they must have had some disappointments. After the Supreme Court's 1954 Brown vs. Board of Education decision some activists chanted the slogan "Free by 63". Surely they must have been disheartened to fight some of the same battles 40-50 years later. What must it be like to near the end of your life and believe that your best efforts to change things were all in vain? That's a heavy weight to carry. Wolverine/Logan (Hugh Jackman) is carrying this weight. It's 2029. Mutants are apparently illegal and/or have been all but wiped out. There are no more X-Men. No new mutants have been born in 25 years. Logan is no longer an object of wonder or fear but more one of amusement or contempt. He has tried to blend into society by working as a limo chauffeur. But something is wrong with him. 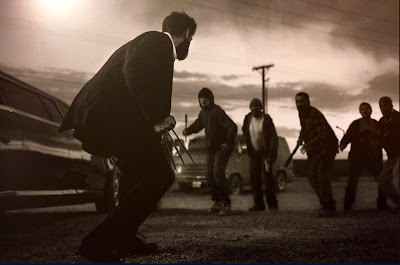 The previously indomitable Logan is now vulnerable. His famed healing factor, which once rejected diseases, eliminated poisons, healed any wound short of decapitation, and slowed or halted aging is evidently finally running out of steam. Logan's aging. He doesn't heal as quickly or as thoroughly as before. He's not as strong as he used to be. He gets tired and stays that way for a long time. And worst of all he's got a chronic worsening nasty cough/tremor that's getting harder and harder to ignore. Logan's drinking more to dull the pain. But old or not Logan still feels that he has responsibilities. Chief among Logan's obligations are taking care of the man who saved his life and his soul, his father figure, Professor X, Charles Xavier (Patrick Stewart). Professor X is also suffering the infirmities of age but in his case these are made worse by Alzheimers. When a man who was once the world's most powerful telepath loses control of his brain, the results can be dangerous for thousands if not millions of people. It could be akin to a weapon of mass destruction left unattended. Logan and Caliban (Stephen Merchant) care for Professor X as best they can. But the medicine is having less and less of an effect while the seizures are getting worse. Left mostly unspoken is Logan's fear that he'll have to put the Professor down. For his part the Professor is angered and scared, not only because he's becoming lost in his own body, but also because he can't just order Logan around any more. And like most parents, especially when they get older, the Professor is not shy about telling Logan about Logan's mistakes. It's a classic parent-child relationship in the winter of life. Logan's life changes when a nurse (Elizabeth Rodriguez) recognizes him. The nurse begs Logan to take her and her underage charge Laura (Dafne Keen) to a supposed mutant safe zone in North Dakota. Logan is profanely opposed. 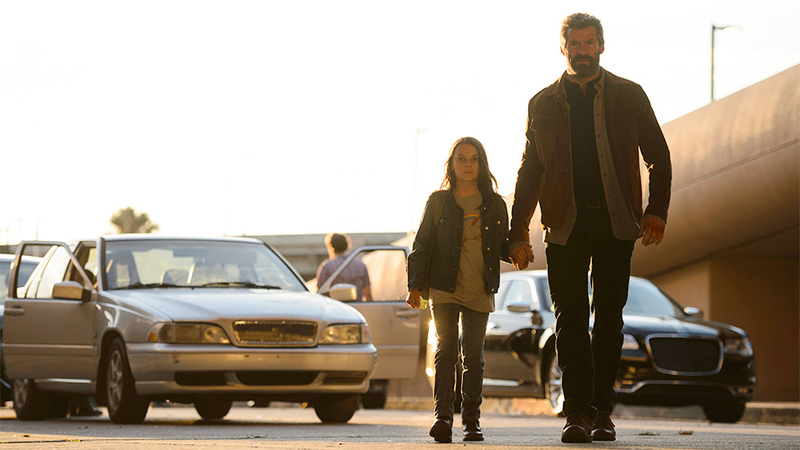 Logan's plan is to make enough money to get himself and Professor X off to a boat or island somewhere. Logan doesn't want responsibility for anyone besides Professor X, especially not a pushy nurse and a silent creepy kid he doesn't know. 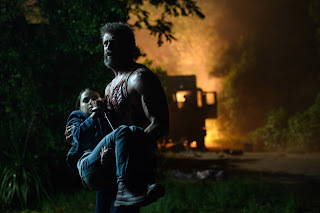 However, Logan's hands are forced when the young, brash, and very dangerous Donald Pierce (Boyd Holbrook), security chief for the gene research corporation Transigen, shows up to warn Logan not to harbor the nurse or the little girl. You can probably guess where the rest of this film goes. It was probably a little longer than it needed to be at two hours and sixteen minutes. But it was emotionally engaging. It was an example of how movie fights/chases are done right. There was a very strong Western vibe here. The film's glorious outdoor scenery added to that, as did its specific invocation of the movie Shane. I thought that last was a little heavy handed but I guess the director wanted to make sure you didn't miss the point. The old gunfighter picks up his shooting irons for one last dust up. Jackman imbues Logan with ambivalence, loyalty, regret and disgust. This is just as important to the character as his physical stature. This film might make you ponder how you will deal with your or your loved ones' inevitable battles with aging and decline. Who will be there for you? What's your legacy? This was a very adult movie. Logan is frustrated with his life. He's angry that he has to be the caregiver for Professor X. He's angry at Professor X for needing help. And he's angry at himself for being decent enough that he can't turn his back on Professor X. 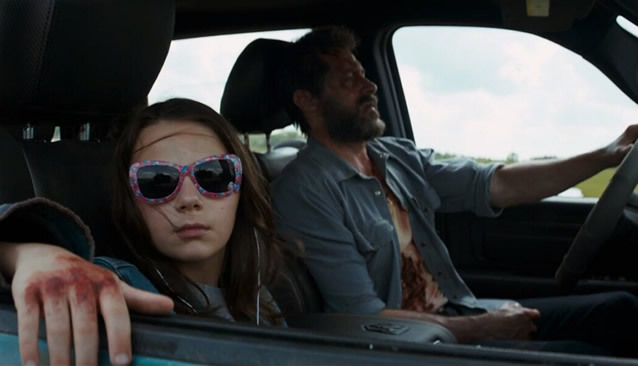 There's a long running battle between Logan's cynicism and despair and Professor X's unshakable optimism. Jackman has said that this ended his involvement with the Wolverine character. We shall see. Eriq LaSalle, Elise Neal, and Richard E. Grant also have roles. Special attention and credit must go to Dafne Keen's Laura, who must be simultaneously wise (and dangerous) beyond her years and yet a naive little girl. Her work was reminiscent of some of Jodie Foster's or Tatum O'Neal's similar turns back in the 70s. All in all this was a triumphant yet bittersweet coda. Even if you don't normally like violent movies or those based on comic books, this film might be worth your while. Classic Hero's Journey.